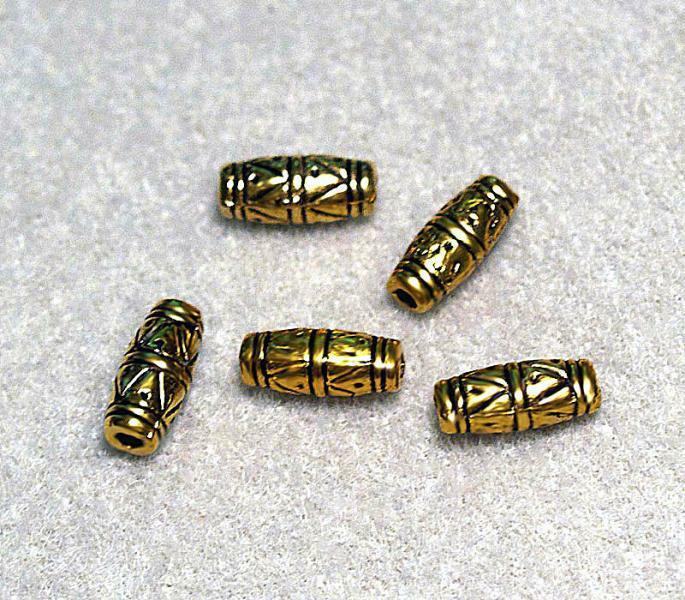 Beautiful, antiqued gold, tube spacer beads with an ethnic design. These are prettier than the picture! You'll receive a pkg. 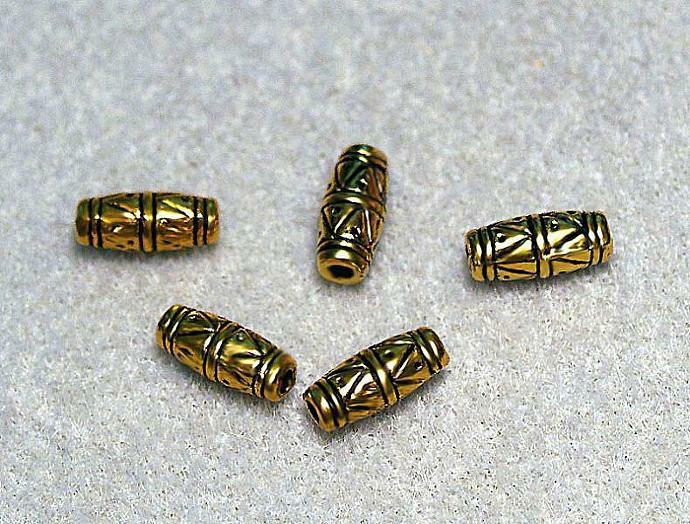 of 6 beads.